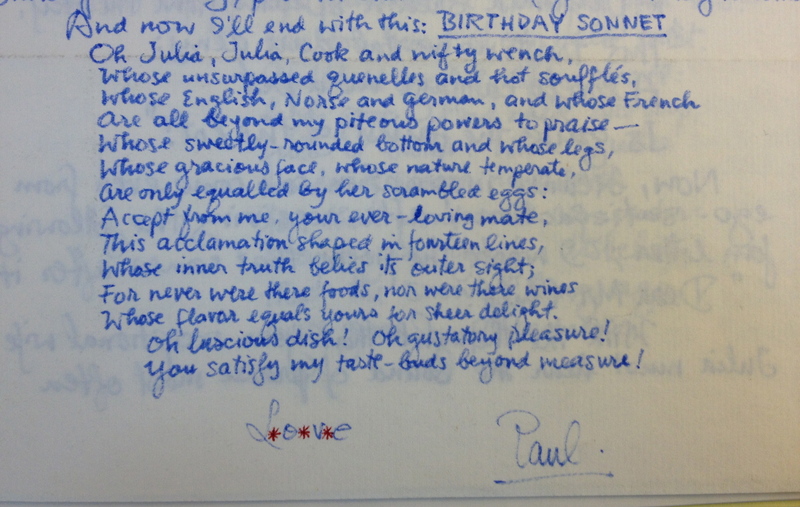 Paul Child shared this sonnet for Julia with their friend M.F.K. Fisher. Paul seems to express great enthusiasm for Julia’s taste. Published: August 8, 2014 Dimensions: 3264 × 2069 Posted in: Archives Gallery Post a comment or leave a trackback: Trackback URL.